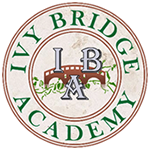 At Ivy Bridge Academy SAT Test Prep & Tutoring in Alpharetta, Ga, we are passionate about helping our students master the most effective strategies for improving their scores on the SAT college entrance exam. Our SAT tutors have years of experience in guiding high school students identify and focus on those test areas which will yield the highest boost in scores. Our test prep tutoring programs are designed to allow the flexibility to concentrate on a particular area of weakness or equally on all areas of the SAT exam. Our SAT Test Preparation classes for high school students are taught locally in-person at our Alpharetta / Johns Creek campus. Individualized and local test prep courses for the SAT & ACT tests taught by the best tutors! WHAT SETS IBA SAT TEST PREP & SAT TUTORING APART FROM THE REST? Help students familiarize themselves with the test material and what to expect to reduce "SAT Test shock and anxiety". Prepares students for all sections of the SAT exam, including the essay. Targeted practice testing strategies that teach time management and build confidence. Experienced professional teachers with demonstrated passion for teaching. Getting into the best colleges & universities is one of the most competitive experiences your children will face in their lives. Help them prepare and compete with the best, most comprehensive, effective and engaging SAT preparation program available. Our SAT Test Prep / ACT Test Prep Courses are available in two group and one private lesson formats. You can choose to prepare for Reading, Writing, & Math, or just Math for SAT & ACT. If you prefer even greater flexibility in topic and schedule, you can opt for our SAT/ACT Private Lessons which runs for 40 hours of one-on-one instruction.